La Cordonnerie Anglaise lanoline bees wax cream 50ml is a pe..
La Cordonnerie Anglaise black leather pocket shoe horn is ma..
La Cordonnerie Anglaise brown leather pocket shoe horn is ma..
La Cordonnerie Anglaise brown suede pocket shoe horn is made..
La Cordonnerie Anglaise waxed beechwood shoe trees for the p..
La Cordonnerie Anglaise polish glove orange to gives your sh..
La Cordonnerie Anglaise polish glove black to gives your sho..
La Cordonnerie Anglaise shoe care set Biarritz contains the ..
La Cordonnerie Anglaise shoe car set Clipper contains the mi..
La Cordonnerie Anglaise shoe care set Cartridge contains the..
La Cordonnerie Anglaise shoe care Valet Groom in Rosewood is..
La Cordonnerie Anglaise shoe care Valet Groom in Beechwood i..
For the very best in shoe care products, look no further than La Cordonnerie Anglaise. 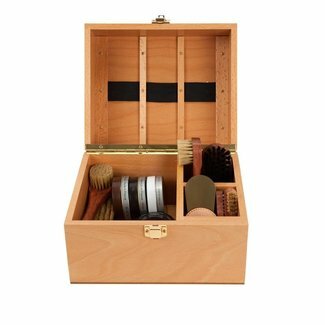 Established more than a century ago, La Cordonnerie Anglaise produces a range of exquisite shoe care items including a collection presented in sophisticated wooden boxes. 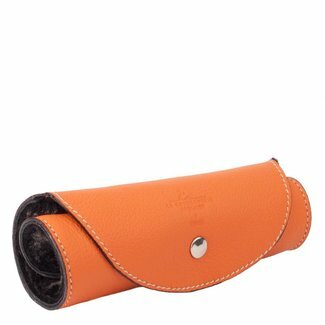 Every item included in their range is of the very best quality and will provide a real treat both for shoes which are in need of some TLC and those which you want to protect and keep in tip-top condition. Cordonnerie Anglaise was created more than a hundred years ago in 1885, when they started out by providing shoe lasts, particularly for industrial use. By 1960 its success had spread and the company decided to move its headquarters from south west France where it started, to the north, Limoges. Its range of premier wooden shoe products were crafted carefully from only the very best beech trees. 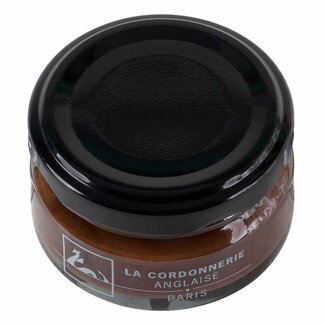 Although La Cordonnerie Anglaise started out as a woodcraft workshop, by 1986 its range had extended to include many other shoe care products too. This included exclusive shoe creams, high quality brushes as well as other non-shoe products too. 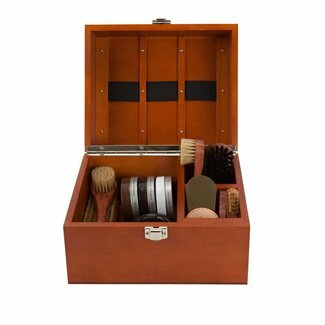 If you want a shoe care set which is as elegant as your footwear then look no further than one of these beautifully carved wooden boxes from La Cordonnerie Anglaise. 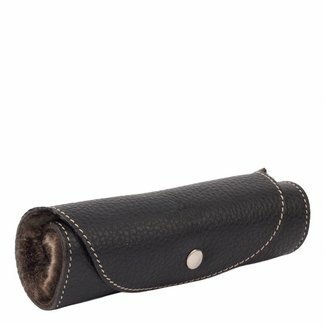 A true luxury item, they make the perfect gift for any footwear fanatic or just as a handy kit to keep at home. With a choice of boxes stained in either ebony or rose wood colour, or left natural, all made from beech there’s a generous array of contents inside. Bubinga brushes, a shoe horn, duster, wood welt brushes and a range of beeswax and lanolin shoe creams in different colours, you’ll have everything you need to keep your footwear looking quite simply immaculate. 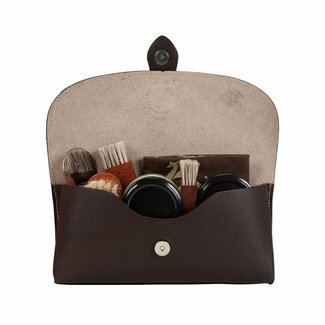 If you want the convenience of a shoe care kit, but one which is easy to transport around, there’s a whole host of bags and pouches which can be easily be taken from one place to another so that your shoes never have to look anything but flawless. 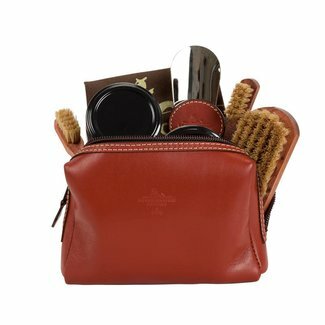 With contents such as a shoe horn, beeswax cream, an array of different brushes and a duster, you can ensure that even on the move you are smart from head to toe. 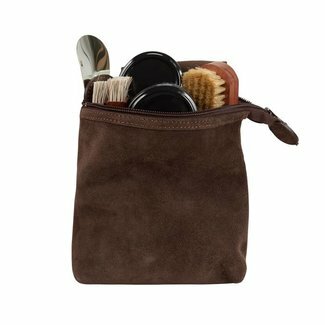 Each kit contains slightly different items and there’s a variety of types of holders such as soft suede bags, smooth leather pouches and wrap over nomad sets. If you already have some shoe care products in your cupboard and don't want to invest in one of their ready-made kits, you can buy any of their components individually. Everything from polishes to shoe creams is presented in elegant packaging which has an understated sophistication. Good shoe care comes with prevention and protection and when you’re not wearing your shoes, it’s important to keep them in shape. La Cordonnerie Anglaise still makes the exquisitely carved wooden shoe trees that first started their business more than 100 years ago, available in men’s sizes. 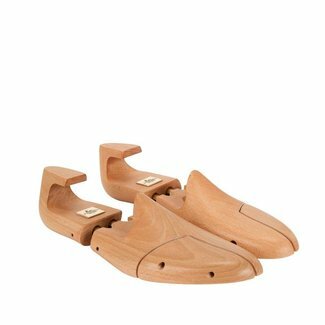 The shoe trees are made from premium grade beech wood and come in a variety of designs to suit your needs. All have a silky-smooth finished and are accented by gold plated ring, plates and tubes to provide a shoe tree which is practical yet attractive too. 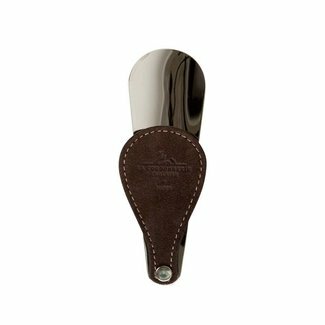 With more than a century of experience and knowledge, the range of shoe care products from La Cordonnerie Anglaise is luxurious and indulgent but your footwear will appreciate the quality. Take a look at our range here at Quality Shop today and treat yourself to the very best in shoe care products.